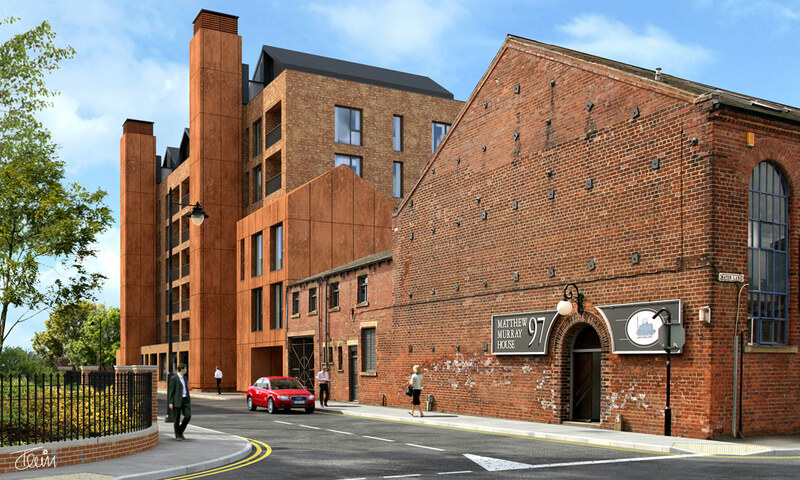 Ironworks is our first project with igloo regeneration and is located within Leeds’ Holbeck Urban Village. The design has been heavily informed by igloo’s renowned ‘footprint’ document that helps ensure that their projects are ‘holistically sustainable’. This methodology challenges the design process in four areas: ‘Regeneration’, ‘Environmental Sustainability’, ‘Urban Design’ and ‘Health, Happiness and Well-being’. 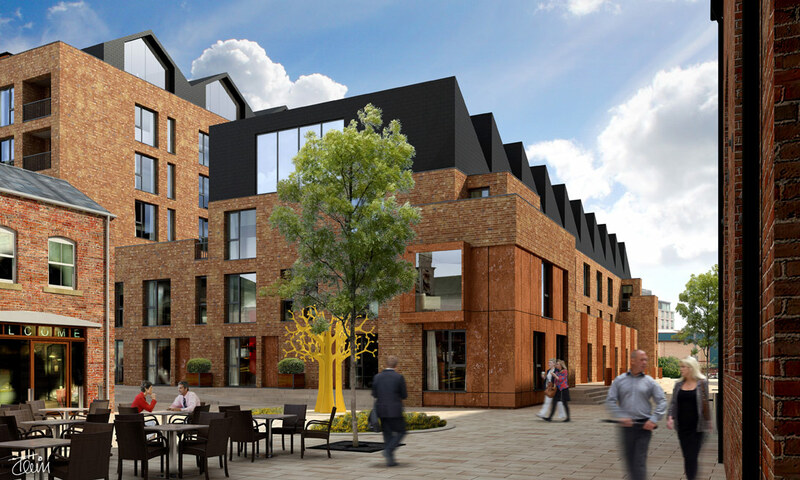 The resulting solution creates 15 townhouses, 57 apartments, 2 commercial units and 44 car parking spaces that are hidden beneath a central private courtyard space. Located in Holbeck, once the heart of the industrial revolution, the design reflects the scale and character of past industry. 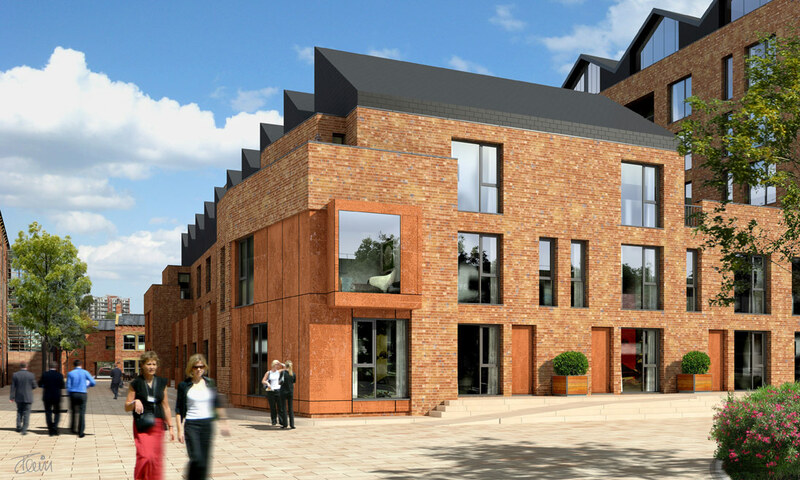 The different components are drawn together to form a dense urban block that has echoes of a historic mill complex (or ‘Ironworks’).This character is reinforced through architectural form, with elements such as a north-light roof (reinvented to optimise natural light and the efficiency of photo-voltaic panels), and through materiality, with the use of red brick and cor-ten cladding.